A Tell-Tale Sign of Spring For Me...Tulips! I just wanted to share the beautiful Spring day I enjoyed. The weather was seasonal, with the temperature around 60º. The sun was shining and the sky was that shade of blue that makes you feel that everything is right in the world. 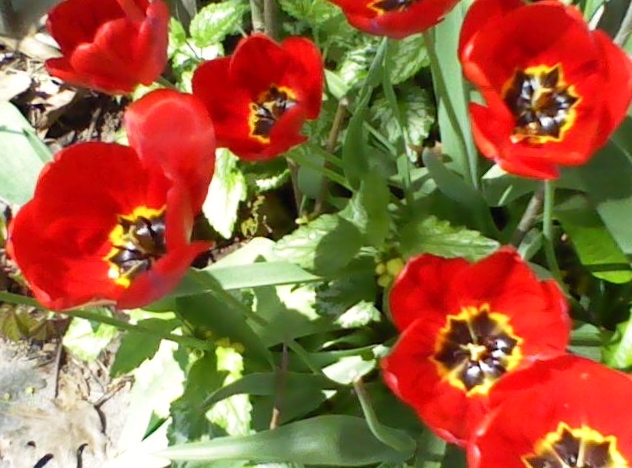 I took the photos of the tulips because they make me feel happy and energized when the bright sun shines down on them and makes them seem illuminated from the inside. I’ve had my eye on them for about a week, meaning to snap a shot before it will be too late – I’m surprised the squirrels haven’t gotten to them, because sometimes they do and the tulip heads go missing! 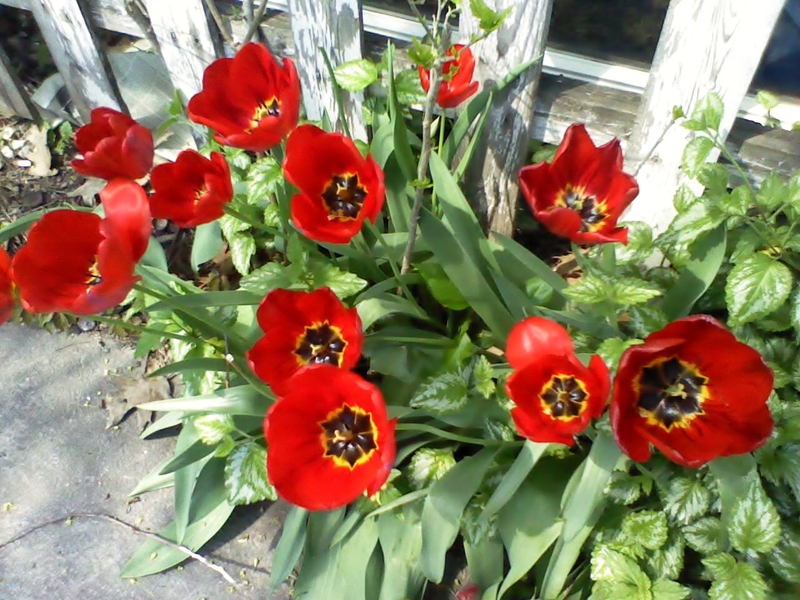 These red tulips line our little walk through the backyard, from our house to our back gate. They’re nothing fancy, but they are a vivid reminder to me that it’s Spring, and a time for change and new growth. Warmer evenings that smell like spring! « Welcome to the World, Baby Felix!